In The Intern, Robert De Niro plays Ben Whittaker, a retired widower who finds that his daily routine has become boring. Ben decides to apply for a senior internship program with up-and-coming internet clothing company About The Fit, run by mid-20s entrepreneur Jules Ostin played by Anne Hathaway. After initial resistance, Jules accepts Ben as her personal intern to set an example for the rest of the company and while hilarity ensues, everyone learns and benefits from Ben’s life experience. The Intern is certainly a well-made film with good performances all around, but it comes off a little uneven. The first two-thirds of the film concentrate on the comedic aspects of a senior citizen going off to work with a bunch of early 20-somethings, while the last third lets some dramatic aspects creep in that all have to wrapped up fairly quickly for the movie to have a neat, happy ending. Overall, I recommend The Intern because the comedic aspects work very well, while the dramatic aspects could have worked if given the proper time to play out. Also the comedic portion of this film does contain what may be the strangest homage to the Taxi Driver mirror scene ever filmed. The Intern will make a fun date movie, so if you’re looking for something rather light and entertaining, be sure to check it out. 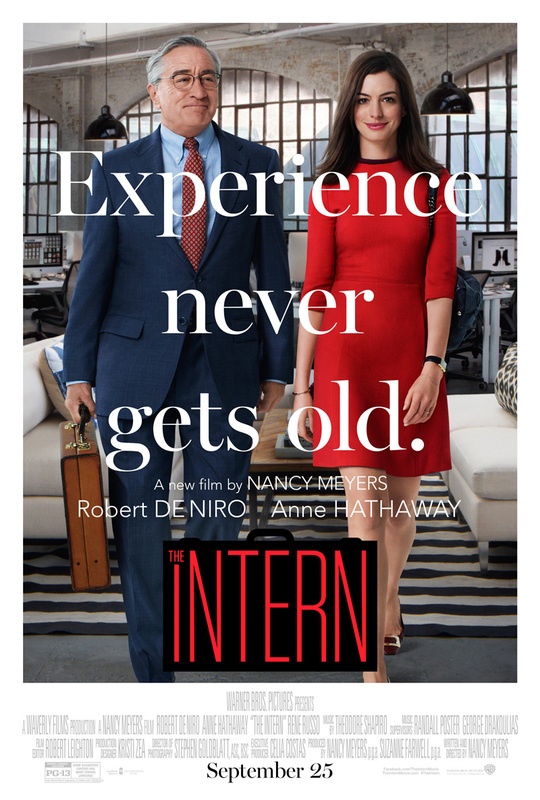 The Intern opens in theaters Friday, September 25.